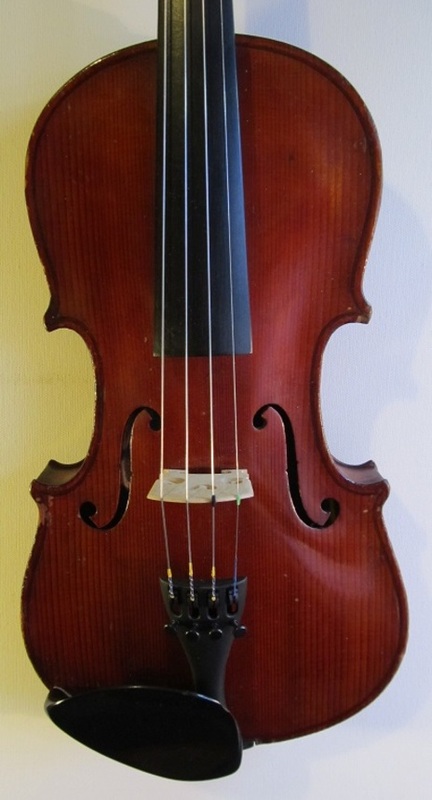 Early 20th Century three-quarter violin, made in Germany, with a typical Maidstone label. The spruce top is of fine grain, widening towards the edges, and the back is of lightly-flamed maple. 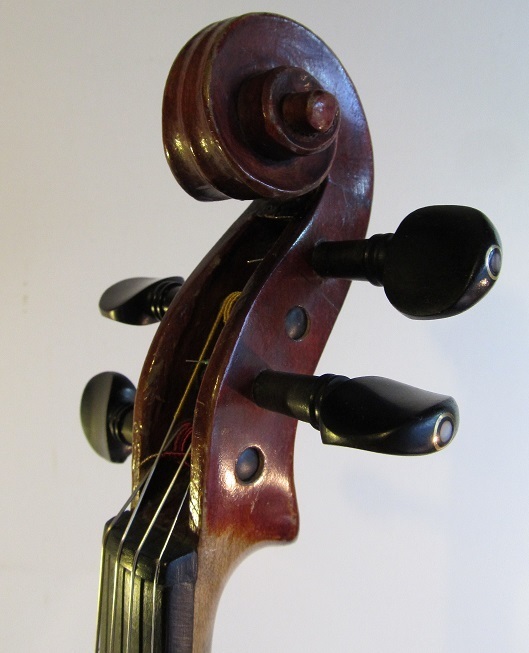 These violins were among the first mass-produced stringed instruments to be made. They were well-built, well-varnished, and they stand the rigours of time extremely well. I pick them up whenever I see them and they always sell quickly. This one is quite powerful, bright and responsive. 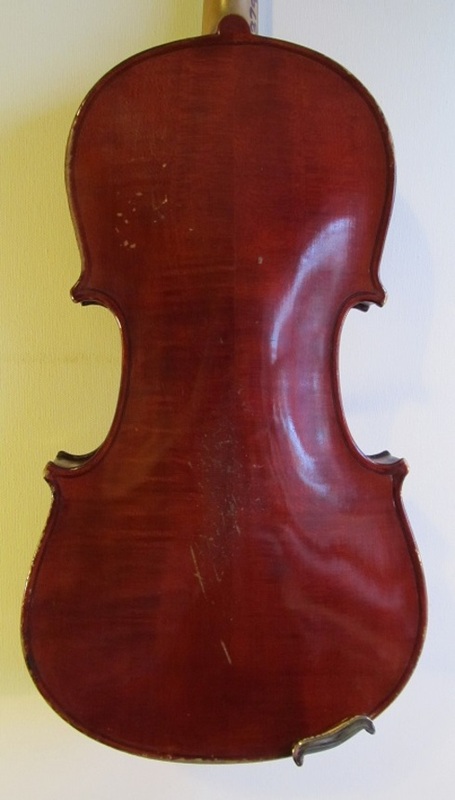 Condition: This violin has a small crack in the ribs near the endpin which has been repaired and is perfectly secure. 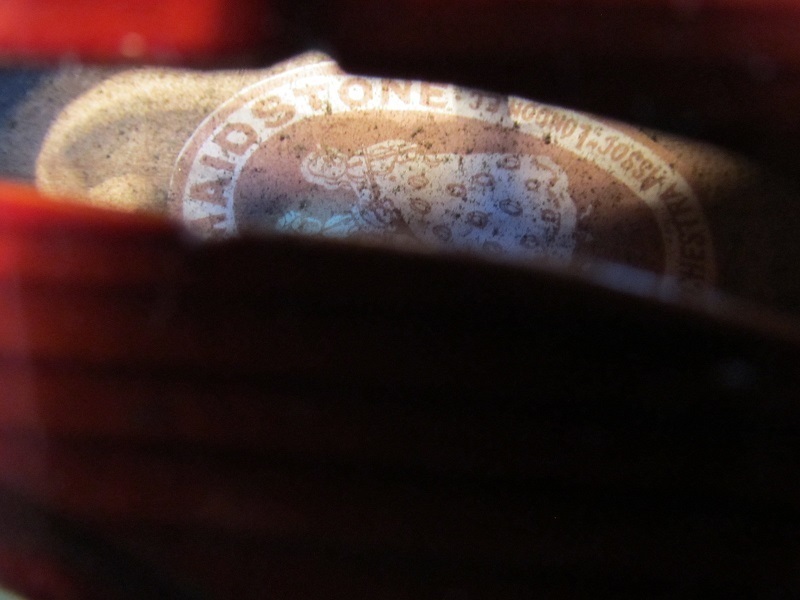 It also has an old pegbox repair, again very solid. Other than that there are just a few surface dings and scratches. Set-up: New ebony pegs, new bridge and soundpost, Wittner tailpiece and Helicore strings.